One More Story recently announced that they will be adapting one of Charlaine Harris’ (of True Blood fame) mystery novels into an interactive narrative game. The game will follow the events of the first Lily Bard novel,Shakespeare’s Landlord, and let players figure out the mystery of who is trying to frame Lily for murder. 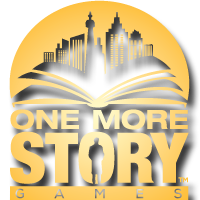 The team at One More Story hopes to make the adaptation a collaborative experience, and fans can follow the development of this game at http://www.lilybard.com/.